Beautiful and creepy indeed, better call in Mulder and Scully on that one! 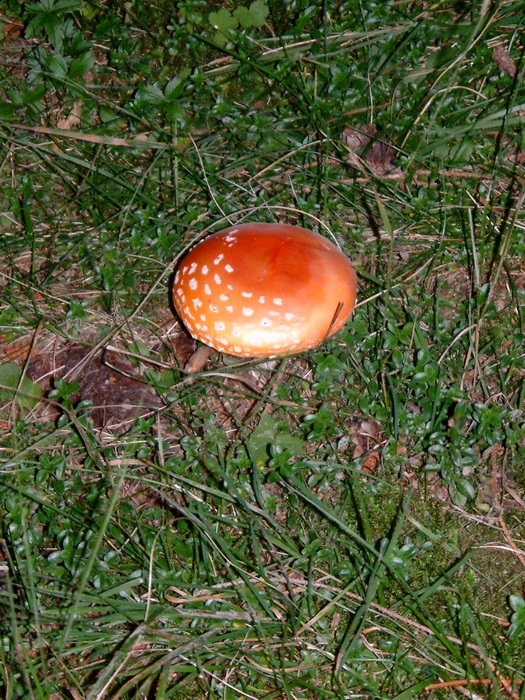 I was initially expecting a close up mushroom (smurf home type thing!) ... thinking "this should be in the nature or close up forums..."
Then I saw your photo.. and it reminded me of a "mushroom cloud" photo I made in Sep 2005... at a staff retreat / camp!... 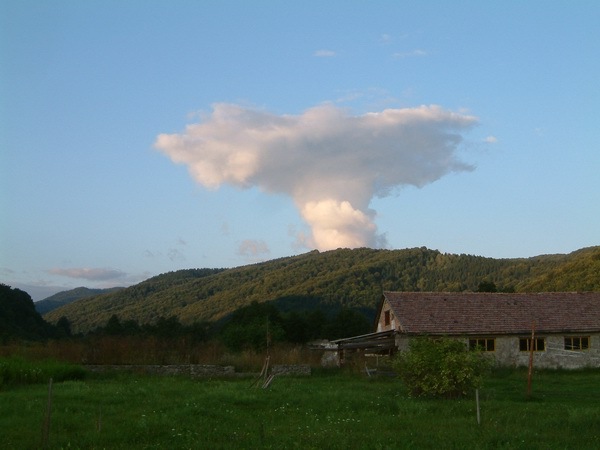 (scary, is Romania testing its nuclear hardware in secret...?!) :? Thanks John and PJ. I like your photo, PJ. 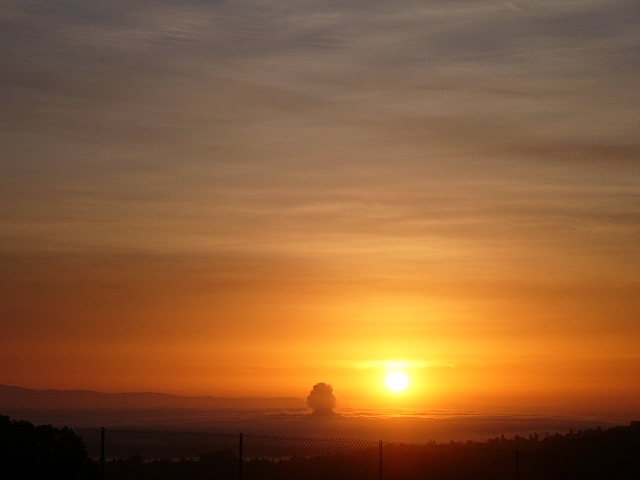 I think if that cloud was a result of a "secret" nuclear test, you probably would not be contributing to this forum! I guess you're right Tullio! Thankfully it was probably not a nuclear cloud after alll... otherwise I wouldn't have had the joy of the last few months!! Hi Paul, it was just a cloud formation. Because I shot with the lens at its widest angle, it appears to be much further than it actually was. Unfortunately, I did not zoom in (well, I tried but I got the camera shake so I did not take the picture). Thanks for explaining Tullio! Clouds can produce wonderful formations! You can't say that often enough!